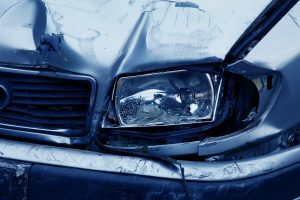 Rice Law Group Car Accident Attorneys have over 40 Years of experience representing car accident clients from St Petersburg, Pinellas and Tampa Bay. Our Attorneys are experts at handling car and other motor vehicle accident claims in Pinellas and surrounding cities. It is estimated that 2.5 million people are injured in automobile accidents across the country every single year. These car accidents change the lives of the people involved and their loved ones. Injuries sustained in these car accidents can range from minor cuts and bruises to serious and life threatening. After a St Petersburg car accident it is urgent that you contact Rice Law Group of Pinellas for aggressive legal representation. Our attorneys will protect you document your case from the very beginning and protect you from insurance companies looking to minimize their financial responsibilities. The Attorneys at Rice Law Group of St Petersburg review every aspect of your car accident. The testimonies of witnesses and officers, treatment from physicians and evidence from the accident. We understand the importance of presenting adequate supporting evidence and work with you to compile the necessary documentation to pursue a maximum claim for your case. Traumatic Brain Injuries- This can include concussions or other traumatic brain injuries, internal bleeding, skull fractures, or lacerations that require plastic surgery. Spinal Cord Injuries- When the spinal cord is damaged, and the severity of the injury, a loss of movement or sensation in the lower extremities may result. Soft Tissue Injuries- When muscles, tendons, or ligaments are stretched or torn in an accident, the pain can be significant and lingering. Burns- Burns can run the spectrum from minor to fatal. Serious burns may require skin grafts and result in scarring. Disfigurement- a scar, that can permanently alter a person’s appearance. Whiplash- common injury that occurs to a person’s neck following a sudden acceleration-deceleration force that causes unrestrained rapid forward and backward movement of the head and neck, most commonly from motor vehicle accidents. Lacerations and Scars- A scar is an area of fibrous tissue that replaces normal skin after an injury. Broken Bones- Broken bones can be extremely painful, may require surgery to fix, and can take a very long time to heal. 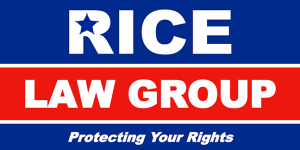 it’s important to talk with a Lawyer from Rice Law Group before talking to any insurance companies involved. We offer free consultations to victims of car accidents and will be able to provide expert advice regarding your case. Often times Insurance Companies will offer settlement to victims of car accidents that may not cover the damages incurred. Putting 40 years of legal experience to work for you. ©2018 Rice Law Group. All Rights Reserved.